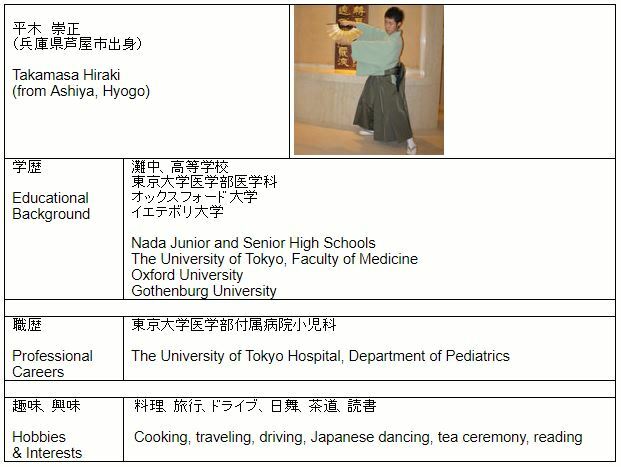 For 2 months, in January and March of 2016, I worked at a hospital surrounded by mountains in Niigata Prefecture (the northern part of Japan). My coworker and I went on a 1-night, 2-day trip to Sado Island in our spare time. 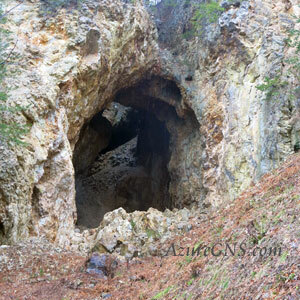 The main purpose for the trip was to visit the famous Sado Gold Mine. The Sado Gold Mine has been on Japan’s Tentative List of World Heritage Sites and it is one of the most famous sightseeing sites on Sado Island. 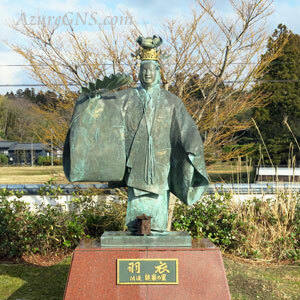 The reserves of gold in Sado were said to be already known around the 11th century, yet the production of a large amount gold at this gold mine was begun by the leadership of the Edo shogunate (1603-1867) at the beginning of the 17th century. As much as 400 kg of gold was produced a year during the Edo period, and in the Meiji period, the gold mine was sold off to a private company and was mined until 1989 when it was closed because of a depletion of reserves. 300 m of mining tunnel out of a total of more than 400 km is open for sightseeing. 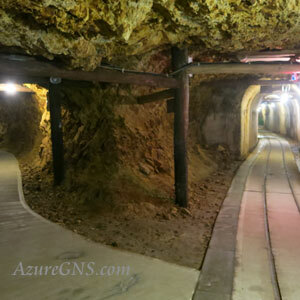 There are 2 courses of the mining tunnel, Sodayuu-ko（宗太夫坑）and Doyu-ko （道遊坑）. Sodayuu-ko was a hand-dug tunnel in the Edo period, and it still has the profound atmosphere of those days. The digging site was reproduced with replica mechanical miners. As many students in Niigata Prefecture visit the Sado Gold Mine on school excursions, when speaking of Sado, they remember these miners. 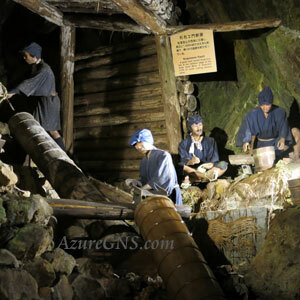 On the other hand, digging at Doyu-ko was begun in 1899 (Meiji 32nd yr) and was mined for gold until 1989 (Heisei 1st yr). Modernized equipment is now exhibited there. After looking around the mining tunnels, we saw ‘Doyu-no-warito’ close up, which was the digging site of Roto-bori at the beginning of the Edo period. Seen from a distance, ‘Doyu-no-warito’ has a big crevice as if it was cut sharply in two, and some parts are connected to Doyu-ko. 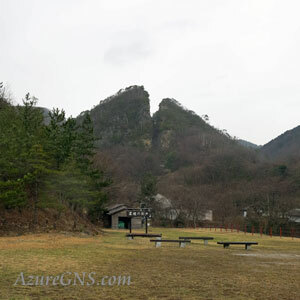 These connecting holes can also be seen from Doyu-ko. In the spring of 2017, the Mumyo-iko course was newly opened, which is an expedition through a dark mining tunnel only with a light in hand. This is an experience course in which people can realize their childhood dreams of cave exploration and allow explorers to experience a more efficiently real mining atmosphere at that time. Moreover, near the Sado Gold Mine, there is the Kitazawa area where the facilities for refining gold from ore are located. 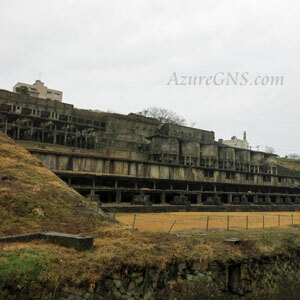 Those facilities are now abandoned and this area is now striking ruins that remind us of Gunkan-jima (Battleship Island in Nagasaki Prefecture). 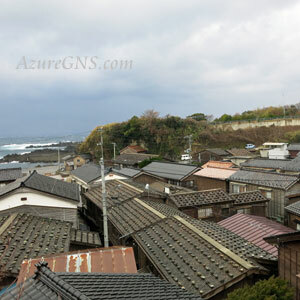 During this trip, besides the gold mining areas, we visited Shukunegi Village which became famous through a commercial film of one of Japan’s best-known actresses. 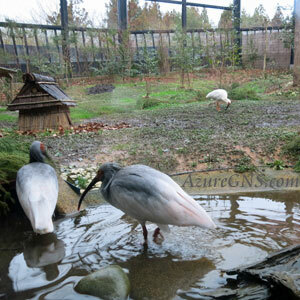 We also visited Toki Forest Park where Toki (crested ibises) are raised and bred. 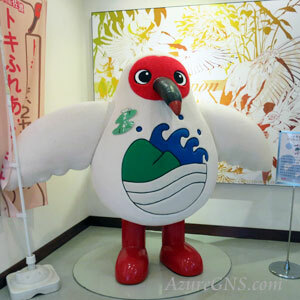 Toki was registered as a special Japanese natural treasure and is an internationally protected bird. We saw Toki close up and were deeply moved by the valuable experience. 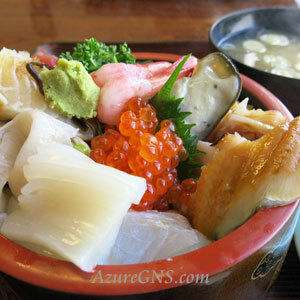 We fully enjoyed wonderful fresh seafood in Sado, especially Yari-ika (a spear squid) in the best season. 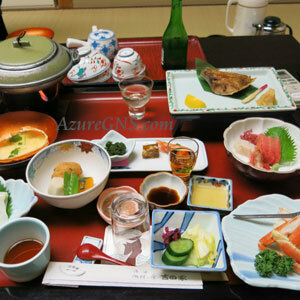 There were also other local specialties such as Sake (Japanese rice wine) and Sado-wagyu (Japanese beef produced in Sado). 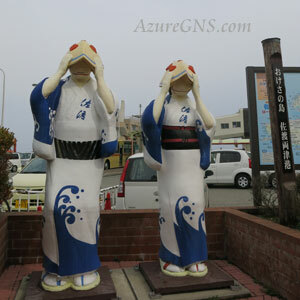 Sado Island is also famous for many hot springs. This time, we stayed at an inn with a hot spring near Ryotsu Port and took an open-air bath looking at Kamo Lake and slowly unwound from our weariness. 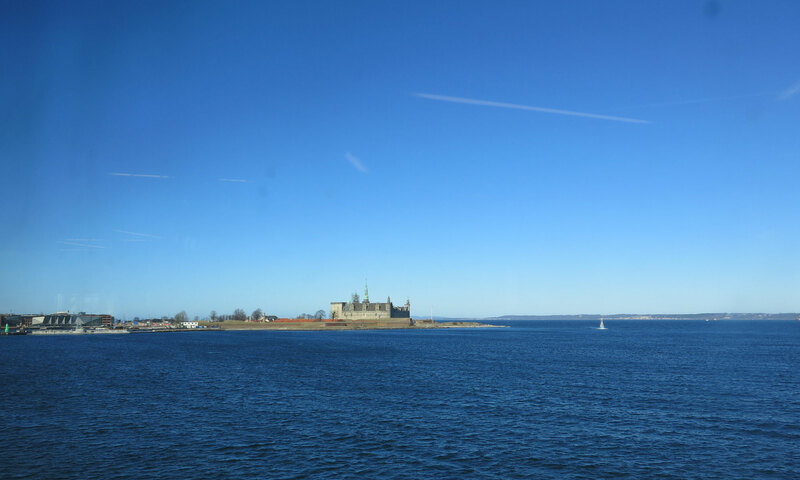 As described earlier, Sado has many wonderful tourist spots to visit; on the other hand, this remote island had long been a famous place of banishment. 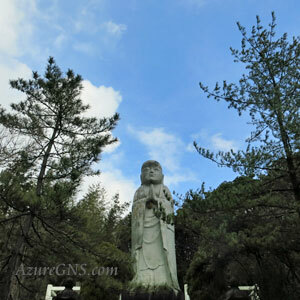 Various noblemen and people of culture were deported to this island such as Retired Emperor Juntoku, High Priest Nichiren and Zeami (a Noh player and writer). Some historic sites in connection with those exiles still exist: Mano-no-misasagi is the cremation mound of Retired Emperor Juntoku, and Kompon Temple is deeply associated with the Priest Nichiren. The culture which those exiles introduced from Kyoto into Sado has uniquely developed. Various traditional performances including Noh and Sado-okesa (a folk song originated in Sado) are still deeply rooted in the region. We visited Sado in the winter, so unfortunately, we had no chance to appreciate a traditional performance. We didn’t have enough time to see Hajiki-zaki Lighthouse and Oonogame (a 167m rock sticking out from the sea) though we had really wanted to see them. There are many other things left for us to do. 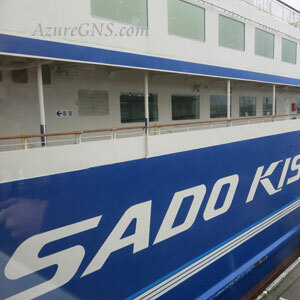 We would like to visit Sado again in the near future.